Travel from plunging gorges to soaring mountains. Discover cliff-top fortresses and Riviera-style villages. Taste wines and gourmet chocolates, among countless local specialities. 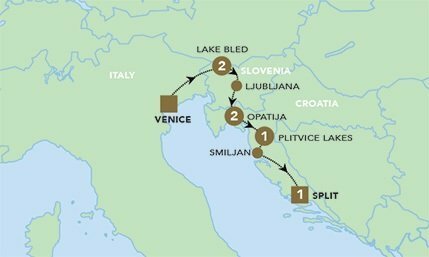 This journey through Italy, Slovenia and Northern Croatia captures the beautiful diversity of these unforgettable countries.